Welcome to a fresh new year, another 365 days of opportunity to achieve the life of your dreams! I am excited to be back and hope you all had a wonderful Christmas and New Year holiday period. How was last year for you? What were the struggles and triumphs? Did you achieve your key goals? If it was a difficult year in some shape or form, or you didn’t achieve one or more of your key goals, then I hope that this year is better for you. Either way, it’s time to be grateful. Grateful for all the things you DO have in your life, and all those things that you are grateful that are NOT in your life. It’s time to review, reflect and learn from the past your. Then to transition into the new year. It’s a fresh NEW year, with a fresh book of experiences for you to fill over the next 12 months. This transition into the new year has created a culture over the years of setting resolutions. If made with careful consideration, resolutions can help reinforce permanent changes. However, most New Years resolutions are made in a heightened or inebriated state, which often lacks a degree of commitment. And, as a result they often never gets started or fall away within a short space of time. So NOW is the time to set the stage for THIS year. To connect and energise yourself for the year. Take some time to create a fresh vision for the year. Clarify your intentions, then formulate them into specific goals. Which areas of life do you most want to create results in this year: health, relationship, family, finances, business/career, leisure, community or other? 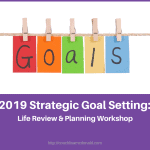 To support you in achieving your goals this year, I’ll be continuing to share tips, tools, and insights into how you can make this a more successful year. If you’re serious about creating different or better results this year, then it’s up to you to take action! What next step will you take to succeed this year? Wishing you every with creating more of the life and success you desire this year. What seems like a good resolution after a night of celebrating the end of the old year and welcoming the new, doesn’t necessarily translate into successful results. Nor does it translate when you make them flippantly in a sober state. The reality is that … only 64% of people … get past 1 month of … setting their resolutions! In fact most people who set resolutions never complete them. Therefore … if you want to convert your resolutions into results rather than be part of these statistics, then you have to start by implementing the essential first step below. “This is the new year the new you. You can pass through another year, coasting on cruise control. Or you can step out of your comfort zone, trying things you have never done before, & make this the year that you elevate from where you are & soar high. New Years Resolutions – Are You Determined To Make This Year Different? Have you been making resolutions about changes that you want to make in your life? That you’ll do things differently this year? Here’s a funny New Year’s Resolution Song for you to watch … by Rhett and Link. Not Really Serious About Your New Year’s Resolutions? New Years Resolutions – How Are You Progressing After The First Week? In my last post I mentioned that people who explicitly make resolutions are 10 times more likely to attain their goals than people who don’t explicitly make resolutions. Today I’m following you up on your 2017 resolutions. Haven’t Made Any New Year’s Resolutions? 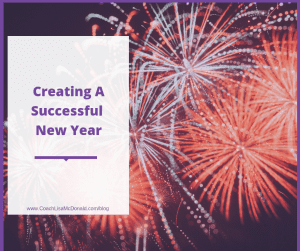 If you’re someone who hasn’t yet set down any clear resolutions, you may like to increase your level of success this year by addressing this. Take some time to reflect on what’s truely important to you this year, and what resolutions you could make which authentically reflect your intentions and desired focus this year. 2017 New Years Resolutions – How Are You Progressing After The First Week? 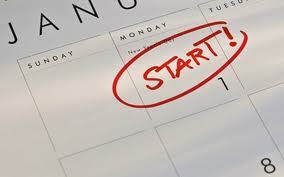 For those of you who have made one or more New Years resolutions: How are you progressing after the first week?